Drill calico is a more heavyweight fabric than the regular option, this particular calico has a weight of 240gm per square metre. It’s a 3 by 1 weave, the technical term for this is 3110 calico. 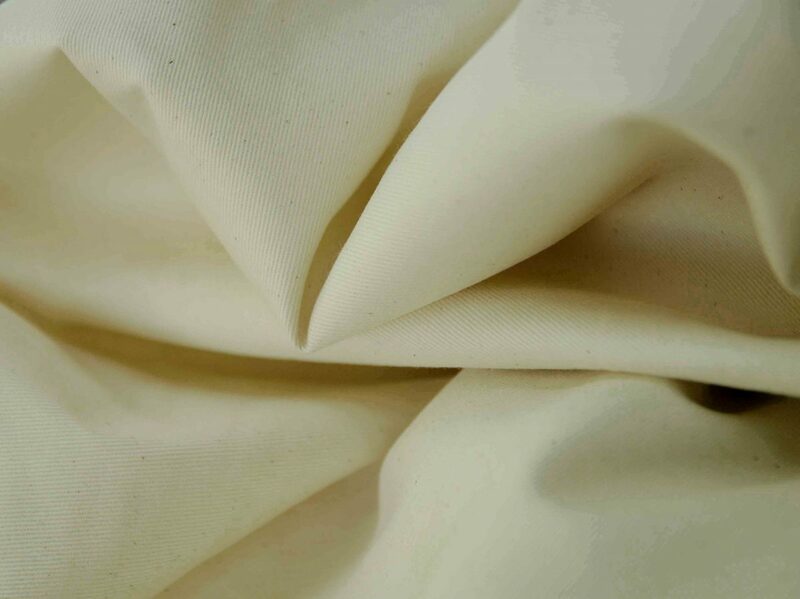 Our drill calico has a very taut structure and a close weave, showing the classic fine diagonal ridges of a drill fabric. 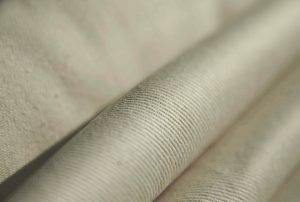 The finish is only slightly rougher than our classic calico, with the typical speckling of the un-separated husk fibres woven into the fabric.